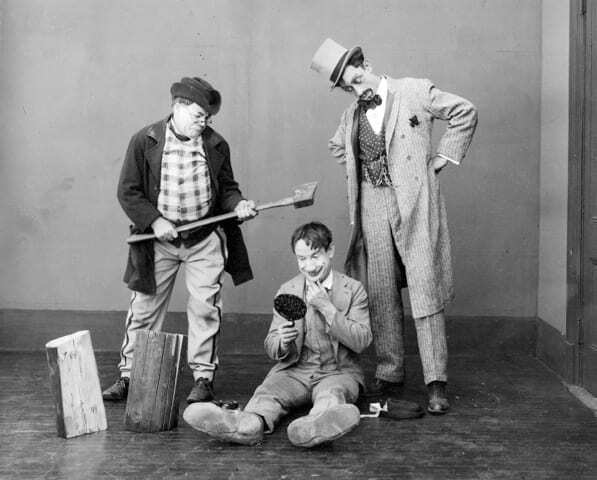 The Mishaps of Musty Suffer - Slapstick | Bristol's Silent Comedy Festival. Take one hapless tramp that dreams of bathing in bathtubs of beer, suffers from tenacious hookworms, and regularly undergoes reconstructive surgery with blunt instruments but always lives totell about it in the next episode, and you have The Mishaps of Musty Suffer. Done as a comedy serial where each chapter chronicles the misadventures of poor soul Musty who’s beset by one nightmare situation after another, this cartoony and surreal 1916 to 1917 series of one-reelers was popular in its day, but has been completely overlooked and neglected ever since. 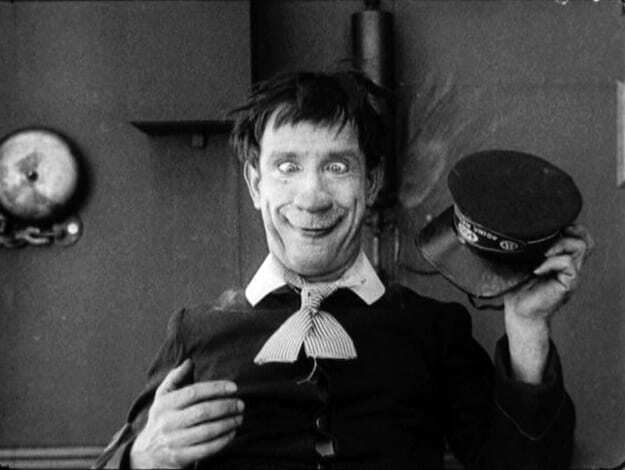 Essentially a live-action cartoon, the series was a descendent of the anarchic early European comedies of Pathe and Gaumont with the likes of Andre Deed, Ernest Bourbon, and Sara Duhamel. Musty Suffer lived a slapstick version of the Story of Job, but he still remained an optimist and an innocent who looked for the silver lining in every cloud that descended on him. Starting in 1916 three series of one-reel shorts or “whirls” were produced in which Musty became an experimental patient for Dr. Hickory and Dr. Nut, got a job as the maid,butler, and gardener of a household all at the same time so he has to make lightning changes back and forth, took the place of a farmer’s dog that died, and even got married to a lemon in the garden of love. Equally as forgotten as the series is its star Harry Watson Jr. Although an early headliner of the Ziegfeld Follies, who shared routines with legends on the order of Fanny Brice, Leon Errol, and Bert Williams, Watson has unjustly been consigned to entertainment’s lost and found bin. Born to a theatrical family in West Bay City, Michigan, he first appeared in dime museums around the country before teaming up with the musician and clown George Bickel. Together they worked as circus clowns for outfits such as Ringling Brothers with Bickel settling on a “Dutch” comic character and Watson his signature tramp clown persona. 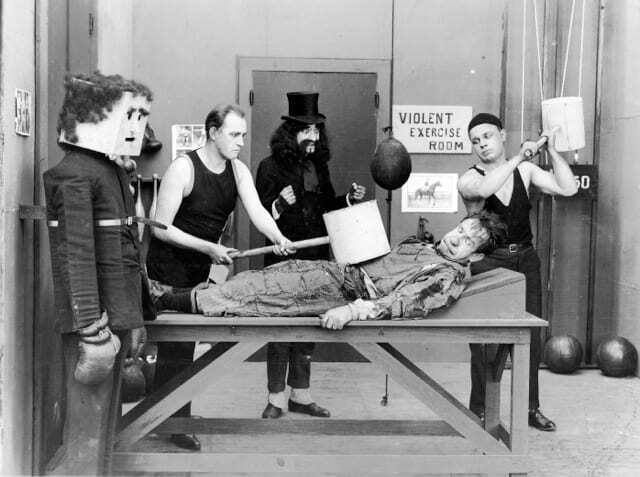 Moving on to vaudeville and revues, they were seen by producer Florenz Ziegfeld and hired for his original 1907 Follies.A big hit, they were brought to the screen in 1915 by producer George Kleine for the features The Fixer and The Politicians. Luckily someone had the idea of building a film around Watson’s well-known tramp character, and The Mishaps of Musty Suffer was born. By 1917 the series had run its course. Producer Kleine kept and maintained his films, and after his death his collection was acquired and preserved by the Library of Congress. Although the Musty films survived they were rarely shown and weren’t available on the home video market– until now. Undercrank Productions has recently released a DVD with eight of the funniest of the Musty Suffer shorts. All have been newly transferred in HD from the master materials at the Library of Congress, and have new scores by Ben Model. In addition a selection of the films are being shown at the Slapstick Festival on January 23rd. Both of these events are giving this funny and bizarre little series the opportunity to again charm and entertain audiences. Buy tickets for The Mishaps of Musty Suffer with Bill Oddie at the Watershed here.